1) It’s really good for you. Seaweed contains carbohydrates, proteins, minerals and vitamins and, in some cases, traces of iodine. One type of seaweed, dulse, contains all trace elements that humans need and is also a good source of protein. 2) It could be “green gold.” Seaweed has found its way onto the menus of celebrity chefs due to whom, says the Telegraph, seaweed prices are on the rise. Dr. Craig Rose, the executive director of the Seaweed Health Foundation, says that, if seaweed could be collected in sufficient quantities from Britain’s large coastline, it could become an important export, with benefits for local economies. 3) Carrageenan, an additive processed from certain red seaweeds, is the only substance so far found that directly attacks the cold virus. While carrageenan has long been used as a thickener in Ireland and Scotland, the Guardian points out that it’s not a good idea to eat too many processed foods containing it, as the substance has been found to cause inflammation in rats. Kombu is a rich source of monosodium glutamate (MSG) which is added to foods to make them “taste more as they should.” While MSG is often blamed for the rather queasy after-effects some have after eating food from the Chinese takeout around the corner, it is actually “one of the safest and best-studied additives used in food,” the Guardian points out (while attributing any post-Chinese-food discomfort to an excess of grease). 5) It’s the ancestor of all land plants. 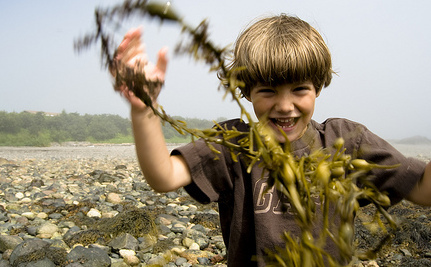 Seaweed has existed for more than a billion years and some 10,000 species exist, of which about 145 are edible by humans. It’s been eaten since prehistoric times and has long been part of the daily diet in China, Japan and Korea; laver is the basis for the traditional Welsh food, laverbread. Seaweed rocks...great added to soups, after cooking so as not to destroy any vitamins & minerals. As for MSG, it gives me a headache, dry mouth & a "hung over" feeling next day, not greasy meals as suggested above. Ginger is a good way of avoiding this allergic reaction.